I’d like to introduce you to two of my children. Their names are Musa and Anahi and they are thirteen and eleven years old respectively. 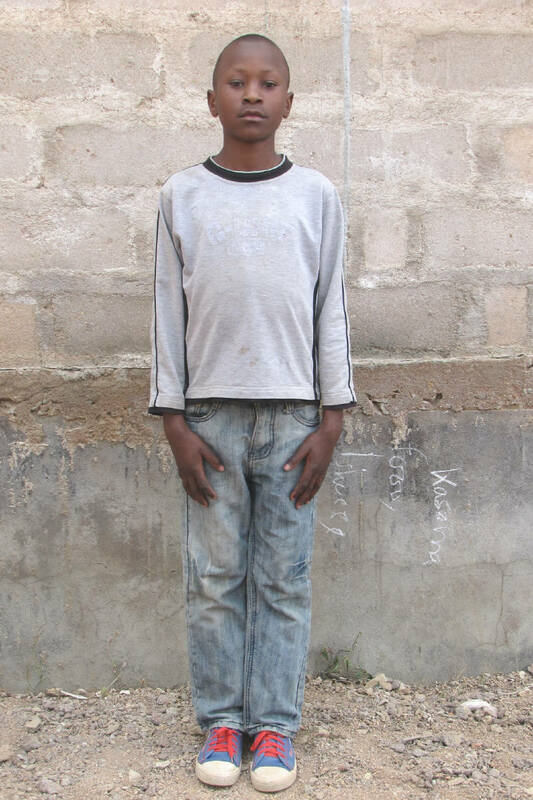 Musa lives in Tanzania with his Grandmother who is a subsistence farmer; his mother died of HIV/AIDS when he was seven years old, we have never been told what happened to his father. Anahi lives in Bolivia with her mother and father and a baby brother. Anahi’s father manages to get occasional agricultural work. Both children have been identified within their communities as being in special need of support due to their circumstances of extreme poverty and vulnerability – they are now sponsored through Compassion. They are part of the hope to break their communities out from the cycle of poverty. When we first signed up to support Musa and Anahi, I remember thinking “it’s not very expensive, it will just be a bit of money coming out of my bank account each month”; I clearly remember not being convinced I’d be very good at getting down to writing letters to them. I suspected that we’d be represented by some money arriving where it was needed each month and that our commitment probably wouldn’t exceed that. Little did I know how much I would treasure their letters and how much I’d want to know about these children and their lives. The letter writing turned out to be easy. Musa’s performance at school fluctuates between average and good; we receive a report each year, telling us how well he does in maths, English, Kiswahili, social science, art, history and geography. He has, in the past, expressed a desire to become a teacher. I haven’t seen a school report for Anahi, but occasionally I get letters from other members of her family as well as the letters we get from her, and they tell me she does well, especially enjoying literacy; she sends me drawings of herself holding my son Jamie’s hand. Musa always has his photograph taken on Christmas Day. He stands stiff to attention in second hand clothes that have just been bought for him with the Christmas money we have sent, and, luxury of luxuries, shoes. His clothes are always ridiculously large because they MUST last for at least a year, and on the floor at his feet are the other things that will have been purchased with any money left over – a ruck sack for his school books, some carrier bags containing sugar, rice or beans, a blanket and, one year, a much treasured sugary fizzy drink in a plastic bottle. 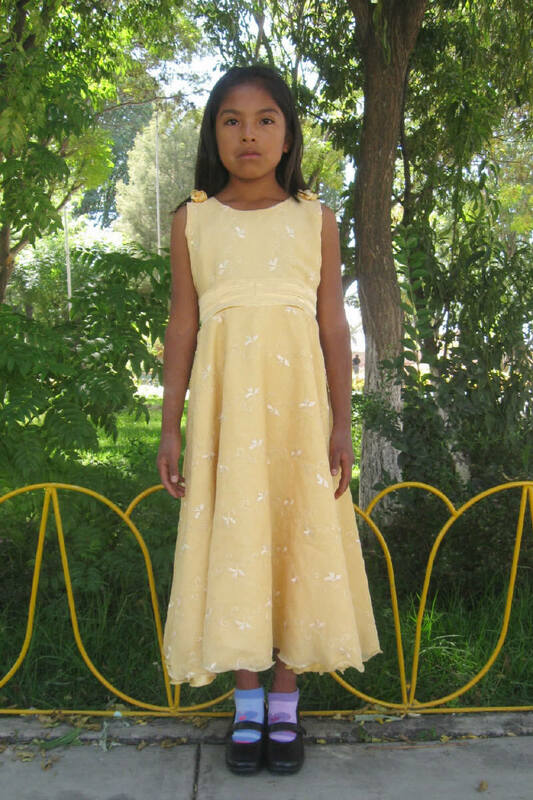 I have a series of photographs of Anahi in a rather pretty lemon dress with bows on the shoulders, I have no doubt that it was second hand; it has been the same ’best frock’ for the last few years, miles too big at first, just starting to fit now. Without my paltry £25 per child a month, I know that Musa and Anahi would not be able to receive the education, healthcare, vocational support, social/emotional and spiritual care that they need; I know that there is a strong possibility that Musa would have been engaged in forced labour, and I shudder to think of Anahi’s future as a young woman with no education in a poverty stricken community; but the thing that spoke personally to me, was Musa’s ’thank you’ letter after we sent him money for his first Christmas present. He said he was really excited because his grandmother had promised that there would be enough left over for them to be able to buy both beans and rice for their meal on Christmas Day. So here they are, Musa loves to play football, Anahi loves to sing and play with her doll. Each of them brings a different dynamic to our family lives, but first of all they remind Kevin, Jamie and me, who have so absurdly much, what it is to have nothing. This Saturday, 26th April, Out of the Ashes and the Beacon Gospel Choir are going to be performing in St Andrew’s Church, Churchdown in aid of Compassion. If you can be there, we’d love to see you. Tickets available on 01452 712154 or on the door. Doors open 7.30pm. For further information about child sponsorship with Compassion UK please follow this link.